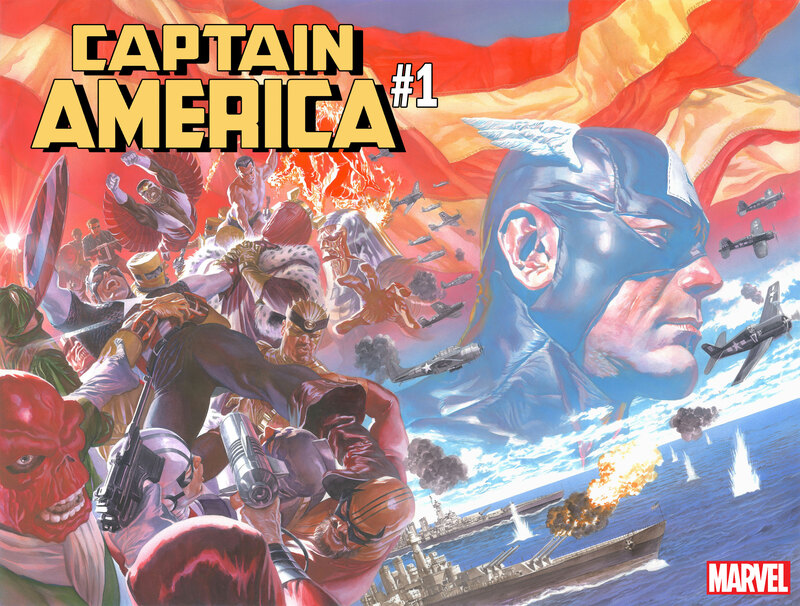 America gets a special birthday present in July: a new series for its star-spangled hero written by Ta-Nehisi Coates. Meanwhile, Nick Spencer, the recent Captain America scribe responsible for Steve Rogers’ stint as a Hydra agent, moves on to steer the Spider-Man ship under Marvel’s “Fresh Start” initiative. Spencer kicks off a new volume of Amazing Spider-Man with plans to further solidify Boomerang as one of Spider-Man’s Superior Foes. With all these steps forward, one character is taking a step back in many readers’ eyes. Laura Kinney, the all-new Wolverine, returns to her roots and receives a new ongoing title using the X-23 moniker. Rising star Matthew Rosenberg continues to consolidate his hold on the X-Men line as he takes over writing duties for Astonishing X-Men and brings a new team of mutants to the title. Marvel’s mutants are also the next in line to team-up with Wakanda’s premier fighting force in X-Men: Wakanda Forever. Doctor Strange may also get a surprise team-up with mutants as the New Mutants plan to break into the Sanctum Sanctorum. In the cosmic corner of the universe, the Infinity Wars stories reach their apex, fan-favorite character the Rider gets his own ongoing series and the Inhumans are on death’s door. A reminder that digital exclusives are excluded, so Cloak and Dagger is not counted. As always, dopplegangers of our main characters are called out for easier identification and to distinguish them from our prime universe heroes. Be wary of the characters found in Amazing Spider-Man: Renew Your Vows, Spidey: School’s Out, Marvel Super Hero Adventures: Ms. Marvel and the Teleporting Dog, Old Man Hawkeye (with the exception of Old Man Logan if he appears) and any Marvel Cinematic Universe-related books as they are not the same heroes as the ones featured in the below tier charts. Best of luck to all divisions of the Fantasy Comic League: #Asgard; #DangerRoom; #Latveria; #Midtown; #Multiverse; #Wakanda; our newest division, the #NegativeZone; and the first community-based division. @DoYouEvenComicBook. Power rulings and definitions have been revised based on participants’ review in the previous month. Please see the attached Power Summary file for further power clarifications. Please follow along with our #FantasyComicLeague tweets on our Twitter for official power scoring and discussions. Seasons run for four months, stay tuned for your chance to join the official league and win a trade paperback of your choice!